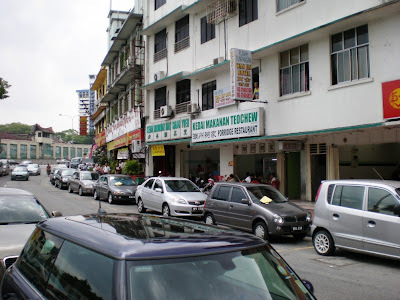 The messy area beside the infamous PUDU Jail ( Jln Pudu , now abandoned ), is a typical old -KL commercial area , and well known as a traditiional Chinese Gourmet zone especially for the nostalgic ( Chin Han-Beatles-Elvis-Bee Gees-Lobo-Modern Talking) old-timers . Like this unpronounceable streetname Changkat Thamby Dollah with these authentic old shops lining it . Of couse those days there were also the "butterfly" karaokes and the like where the after 12 crowds rival those free-for-all Raya opening houses buffet. enhanced darkened eggs ( chicken/duck?) 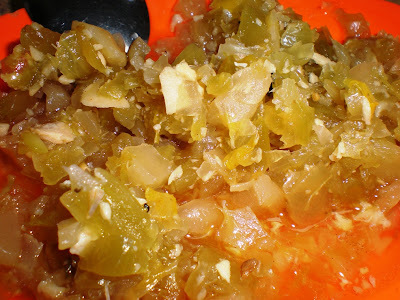 with pickled ginger , a quintessentially Chinese invention , not replicated elsewhere even if they tried for the next 100 years ( hence its name, century eggs ) . Like jelly but not quite. 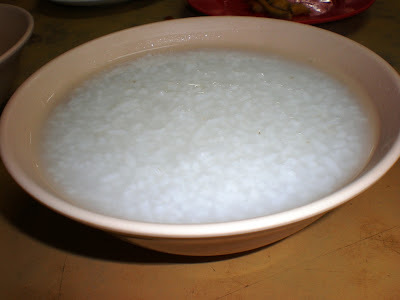 the Star herself , the whitest rice boiled until almost powdery called (best salt & sauce buddy )porridge . Must come out steaming hot or your virgin culinary salt & sauce Xperience in this gastronomical delight ( actually improvised left overs , originally...) will be ruined and you would have preferred economy rice instead ! Remember , to control the runaway salt and sauce (S&S) use this rough guide of 5 parts porridge to 1 part S&S . You can if you wish just drink the broth , for there has been no known reports of indigestion arising from this miracle food. So it is no surprise prices are generally double, triple or even quadruple the comparable items/quantity as found in your neighborhood economy rice shops . porky large innards as fat and gentle as can be..... urgh!! I LIKE!!!!! 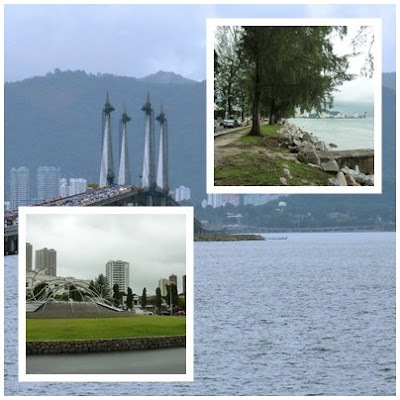 when u guys gonna bring me there???? 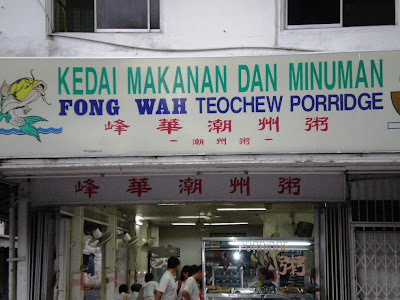 Wah, it has been a while since I had teochew porridge. 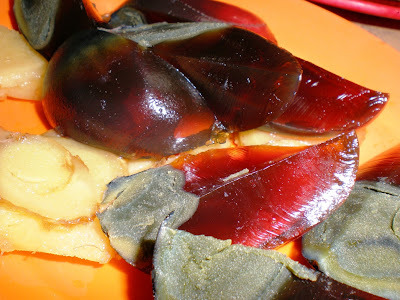 Century eggs is a must + salted fish too. 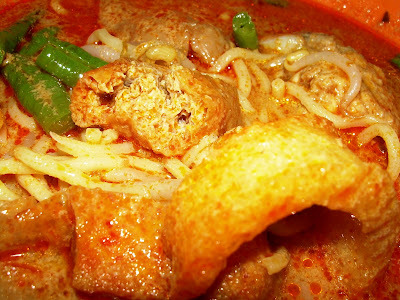 Lot of great food in KL. You guys are lucky. It has been quite some time since my last visit there. Turned off by overpricing, parking prob and some thugs hanging around that area. I like to drink porridge and coincidentally just did a congee post! hahah a brilliant way of introducing plain old simple teo cheow porridge..all the eggs above is duck egg lar i think..
i like teowchew porridge! like all the ingredients you mentioned there except porky innards and enhanced darkened eggs. i love the salted eggs very much and yes esp. the dark yellow centre. 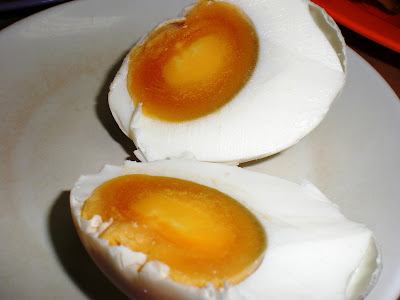 i remember as a kid, i don't eat the white but only the yellow, and now whenever i choose this egg, i always choose the one with more yellow centre. the salted vege here doesn't look like spinach? or is it another kind of ingredient - dry preserved (or is it pickle) spinach - i love that. 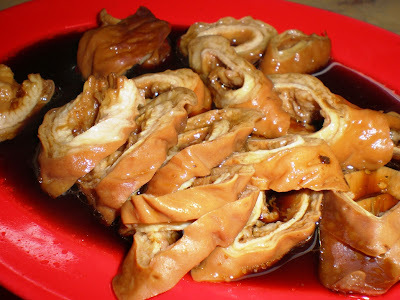 what happened to the other must-have, sure-want, no-have-can-die ingredient (at least for me) for porridge - the (smelly) preserved bean curd ('tau choo')?? many people cannot stand this but i love it very much esp. the spicy one. wow ! din know u love them ! It will be such a pleasure to have you on board ! ..s t b y..
can meet mom ah ? at the Cathay / Pavilion / Rex / Federal / Odeon? but we are stunned by their ultra modern eyeshot coding pricing glare which also cannot be replicated for there will be floating multiple answers ( like that Kayu ). eat & go ! looks like you are a porridge connoisseur alright ! there could be many types of salted veges and maybe lettuce/green stalks but hard to distinguish after all the storage in brine etc. 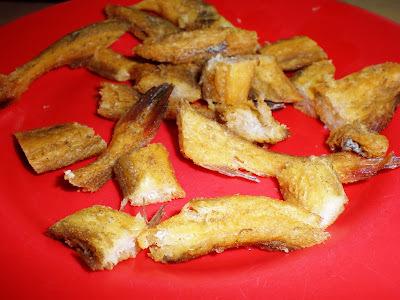 the fermented tau choo( and also fried peanuts/ikan bilis) is a yes yes yes ! but we din see it here someone got them first! ah stupid me. fermented is the correct word. can't think of it that moment... used preserved and thought of pickled too. This is one of my fav late-night snacks. Just a big bowl of congee and little bits and pieces of condiments to go alongside. fermented somehow has a high taste ?